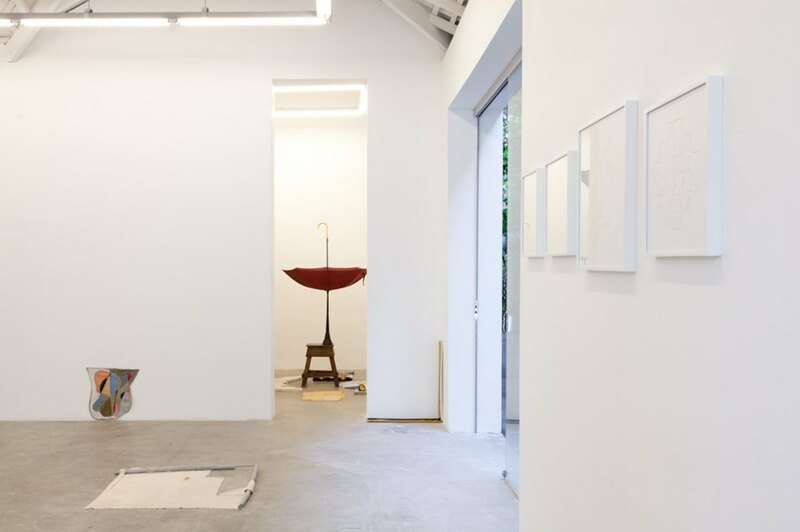 Mendes Wood is delighted to announce Plantation, Sao Paulo based artist Adriano Costas’s first solo show at the gallery. With Plantation, Costa brings together an array of sculptures in fabric, concrete, metal and plastic, alternately embellishing and denuding his found materials with poetic dexterity. Hisrecent production encompasses diverse media – bath towels, umbrellas, window screens – and takes as its departure the potential flowering of everyday articles. 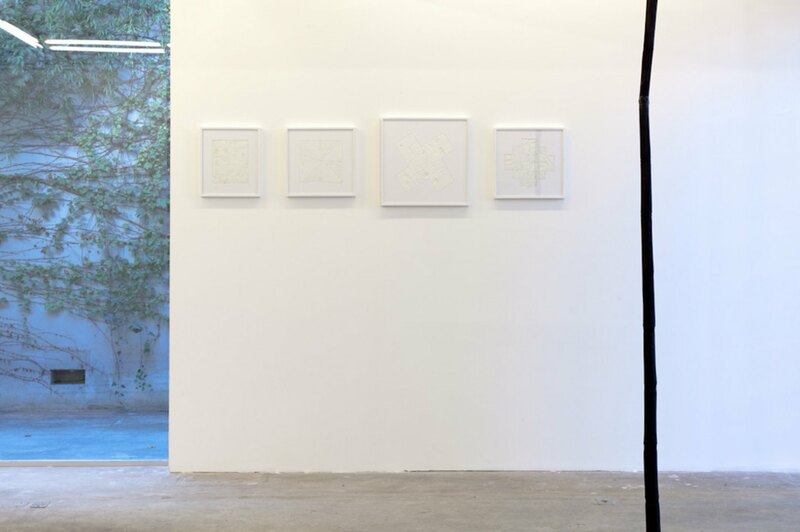 The show’s title resonates both with the origins of the European model of exploitation in the colonial Americas – and by extension, the imposition of an economic dimension on the natural world – and notions of Brazil’s native topicality. 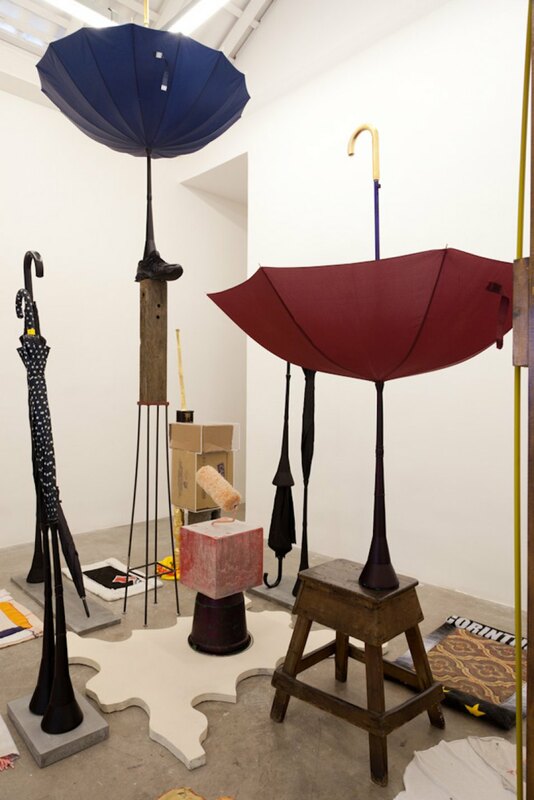 Rods of sugarcane in bronze, concrete and aluminum demarcate awall in the exhibition; vertical sculptures made of plastic, concrete, and fabric recall birds, or plants, assuming a symbolic position of the exotic or tropical. 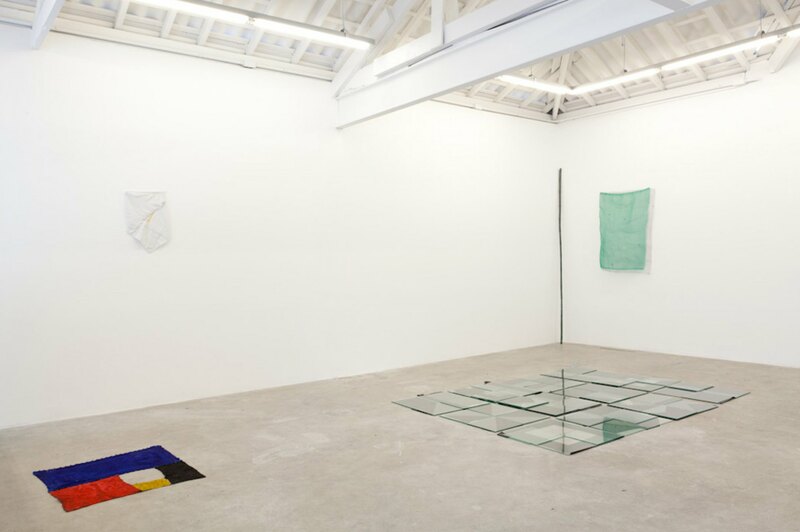 The juxtaposition of craft elements (crochet, needlework, carpet weaving) and the formal geometric concerns of minimalist art, concepts of an antagonistic nature, are used by the artist to open a possible discussion on the aesthetic position of contemporary Brazil. 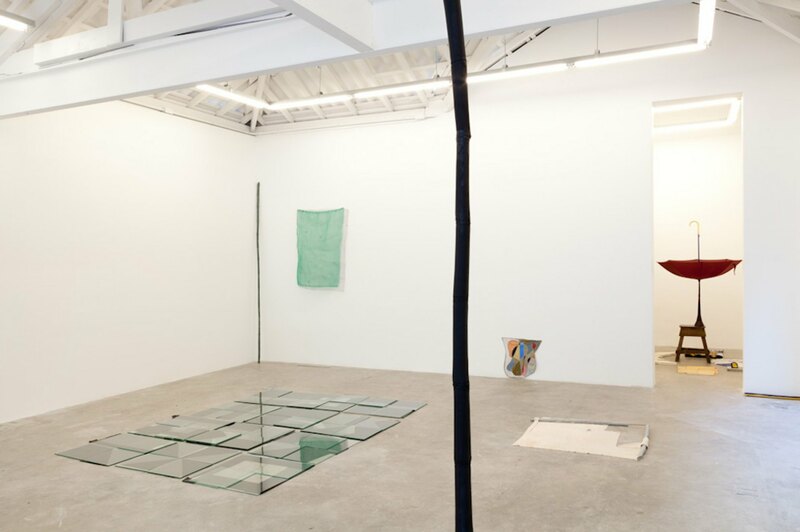 This is most notable in the works made of trash bags and felt, wherein form meets reflection in studies reminiscent of artists like Lygia Pape and Helio Oiticica. 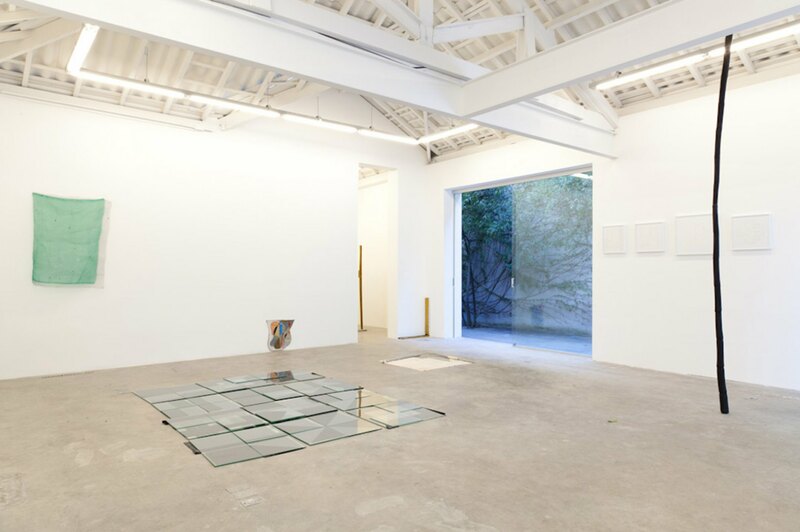 In these pieces, color, shape, and space aretested and experimented with in a living manner; bringing to the fore notions of the anti-monumental, as the works are presented informally, completely loose or free on the ground. In Plantation, a feeling of meaningfulness inspires the viewer, the exhibition traces the germination of the slightest beings: a cane of sugar, a flowering of towels, and lily pads of felt. Costa has endowedthe pieces with a sort of haphazard agency, so that this unlikely collection of urban detritus emits asubdued presence. Here form is used to discuss the rendering of self-reflexivity, of consciousness in the material world. The work seems to suggest an animistic approach to the universe of things – indicating points of contact between the immanent and the transcendent.